It’s fitting that I read this during the same week that I was reading a bunch of Poirot mysteries. They’re not as dissimilar as you might expect. 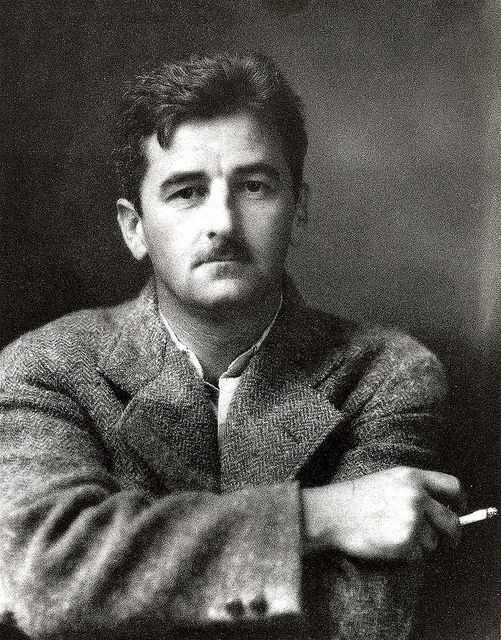 Faulkner relies on mystery to drive so many of his stories. Here, in “Hair,” the mystery is a barber named Hawkshaw. Our narrator is trying to learn more and more about him. He disappears for two weeks every April, and he treats a local orphan girl with a kindness he doesn’t show anyone else. Not the craziest, most dramatic mystery maybe, but in the hands of the local gossip, it becomes alluring. The narrator learns more and more but doesn’t assemble the whole puzzle until the very last sentence. Along the way, the reader follows in suspense worthy of a classic who-dun-it. And that’s quite a trick on Faulkner’s part. No; it was Matt Fox, the other barber, told me that. He was the one who told me about the doll Hawkshaw gave her on Christmas. I don’t know how he found it out. Hawkshaw never told him. But he knew some way; he knew more about Hawkshaw than Maxey did. He was a married man himself, Matt was. A kind of fat, flabby fellow, with a pasty face and eyes that looked tired or said – something. A funny fellow, and almost as good a barber as Hawkshaw. He never talked much either, and I don’t know how he could have known so much about Hawkshaw when a talking man couldn’t get much out of him. I guess maybe a talking man hasn’t got the time to ever learn much about anything except words.